After trying to sell his team for months, Frank McCourt has finally found a buyer for his Los Angeles Dodgers Major League Baseball club. 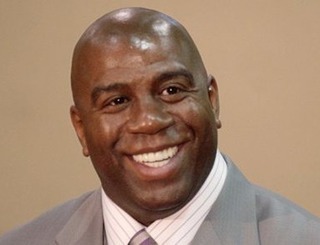 The buyer was famous Los Angeles Laker, Magic Johnson. Along with a group of investors, Johnson is set to pay McCourt two billion dollars for the rights to the Dodgers. The price is the most anyone has ever spent on an American sports team. The previous record was the 1.1 billion dollars spent on the Miami Dolphins in 2009. Major League Baseball owners have approved the deal. The process of transferring ownership will continue through April when Johnson and his associates will fully own the baseball franchise. Johnson is hoping to turn the Dodgers back into one of the top franchises in Major League Baseball. It was not that long ago that the Dodgers ownership could not even afford to pay its players, including bouncing checks to former players and employees. It may not happen in this year as rebuilding is a slow build process, but if Johnson and those he has surrounded himself with are successful, it is only a matter of time until Los Angeles fans are rushing to the gates to see the Dodgers contend for more World Series titles.